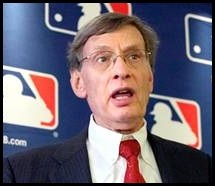 Players Association Executive Director Michael Weiner said players are fine with testing as long as it is done fairly. Major League Baseball's current collective bargaining agreement allows for HGH testing during the offseason and spring training, but not once rhe regular season begins. Major League Baseball has been randomly testing its minor league players for HGH since July 2010 and is now the only major North American sport to blood test unionized players.